I'd eat there, how are the fries? with the odd bit of road kill thrown in for good measure! 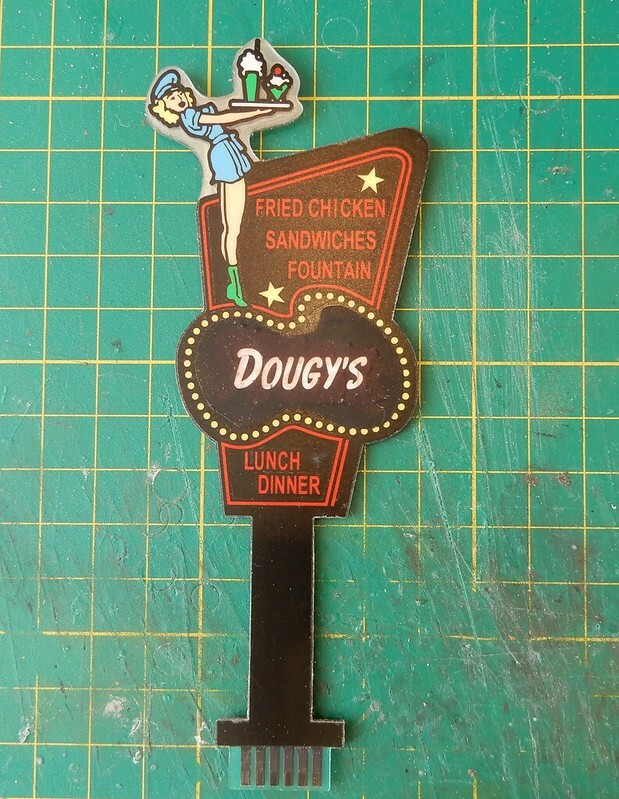 ... or is that ... Doug's ... Dougies ... Dougys ... or ... Dougy's ? That is a GREAT job, if you ask me. I'm toying with the idea, of somehow attempting a simple 'Bud' beer Neon sign. ... with building lighting, signs etc. ideas in it. You are a bit of an LED artist, when it comes to 'funky music festival lighting' as well Dougy. All a bit of fun really - and experimentation which can lift the mood if it goes to plan! Mind you, there's always the event too. and with Dougy's Diner's menu including road kill I suppose that's fair!